This condo has everything you're looking for! The master bedroom offers a walk-in closet, and it's own private bath with extra-deep tub; the secondary bedroom has an extra-wide closet. Open floor plan kitchen & living room with breakfast bar dining/seating space. Extra large, 15' x 29' patio is accessible from both the master bedroom and the living room. Fantastic location, just minutes to DIA and major highways! The building features a security entrance, 2 secured parking spaces, 2 large elevators, and highly efficient heating and cooling. Close to lake and walking trail; community hot tub has just been updated. Affordable Living, Close to Stapleton, DIA, University Hospital, Light Rail and MUCH MUCH MORE!!! 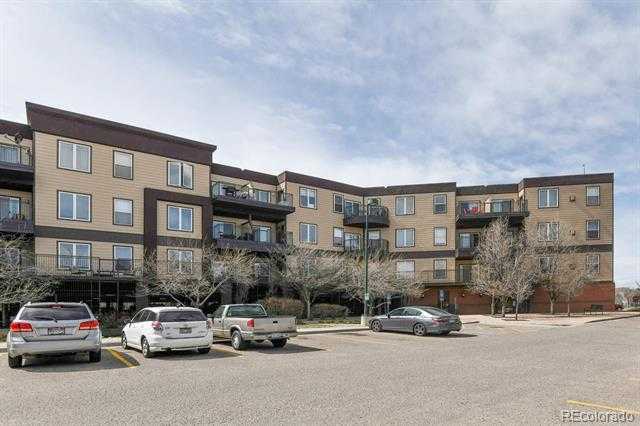 Please, send me more information on this property: MLS# 1822860 – $235,000 – 15475 Andrews Drive Unit 217, Denver, CO 80239.